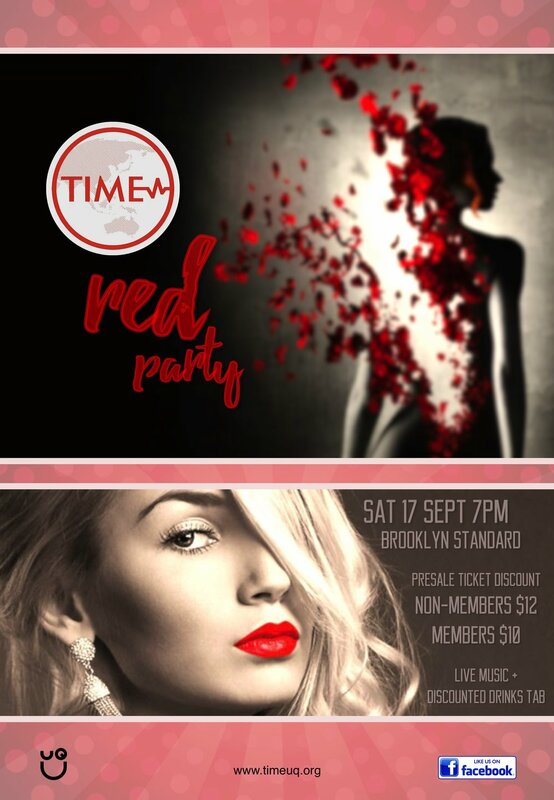 As part of the national RED Aware Campaign and in an effort to raise awareness and funding for HIV/AIDS, TIME is hosting the UQ chapter of the RED Party. Run annually by medical students around Australia with 16 participating medical schools, the RED party has gained immense popularity, collectively raising over $250,000 since 2007 for charities around the world supporting HIV/AIDS education/research. The Red Party is a fabulously “red” themed evening complete with free condoms, drink deals, red lipstick, conversations about HIV awareness, music and a whole lot of fun! In the previous years, hundreds of students have attended the event, with media coverage by UQ News, MX and a number of radio stations, with the promise of the Red Party being even bigger in the upcoming years. RED Party is always a fabulous night with all proceeds going to a really great cause. So bring your friends and don't forget to wear your brightest red!